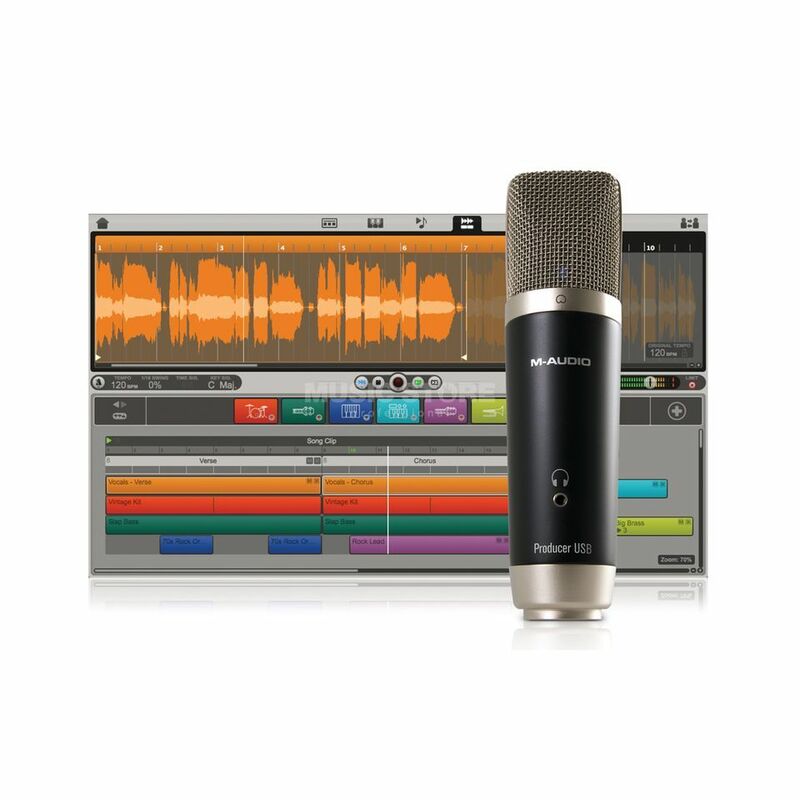 The M-Audio Vocal Studio USB Microphone brings world-class audio to all your computer recording projects. Lay down vocals on your latest tune. Narrate your next podcast. Add a voice-over to your multimedia production. Vocal Studio does it all. The unique combination of high-performance hardware and easy-to-use software makes it possible. Simply plug the Producer USB microphone into your computer, fire up the Ignite music software, and you’re ready to record. The microphone delivers exceptional clarity, and provides a convenient headphone jack for low-latency monitoring. Created by the same engineers that design professional recording technology for studios around the world, the M-Audio® Producer USB microphone features a large diaphragm to capture the subtle nuances of male and female vocal performances. And, unlike many USB mics, the included software drivers allow you to listen to your performance in real time without the delays that otherwise plague computer-based recording. You can also use the microphone to capture instruments and other audio sources.